This article is part of our The New Google Photos App series. 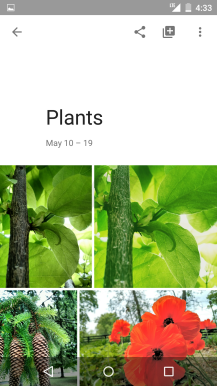 We've already taken a brief look at Google's upcoming Photos app and discussed how it will be able to employ link sharing, but there are still other details worth looking at a little closer. One of those is "Assistant," a new screen in the Photos app that seems to replace "Autoawesome" from the app's current iteration. This screen is where users will find automatically-generated stories, animations, movies, and collages, but - happily - users will no longer have to wait and hope for those autoawesome goodies. 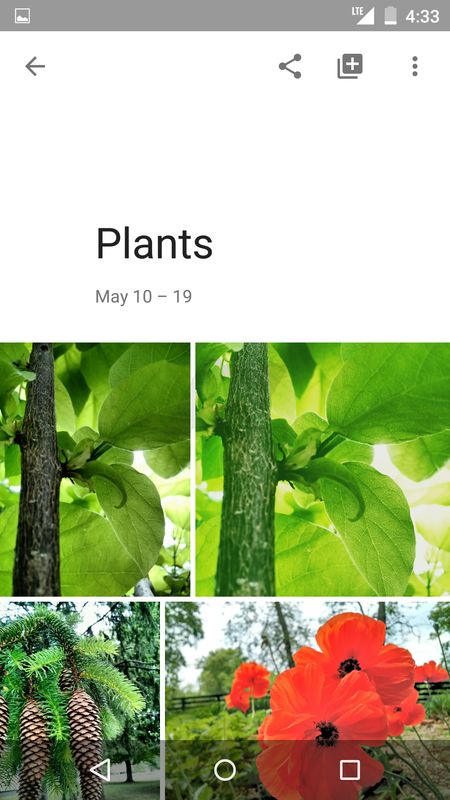 In the current Photos app, users can create movies, animations, and mixes (collages), but not stories or albums, two new options added in the upcoming app. 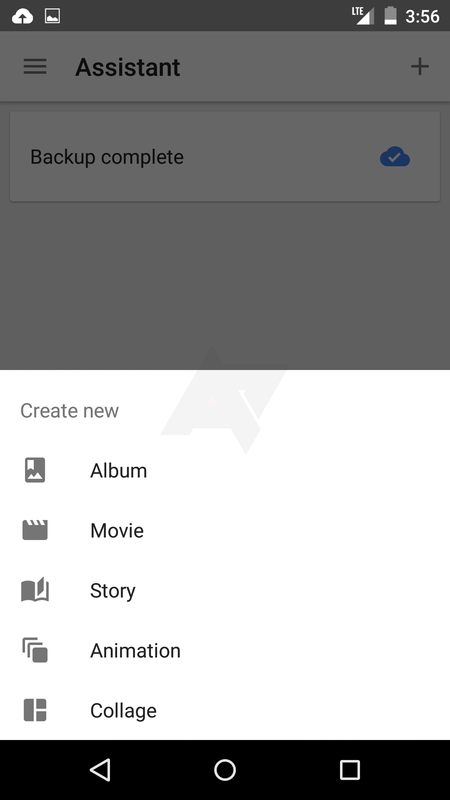 Better still, creation can start from almost anywhere in the app thanks to a "plus" icon in the app's toolbar. 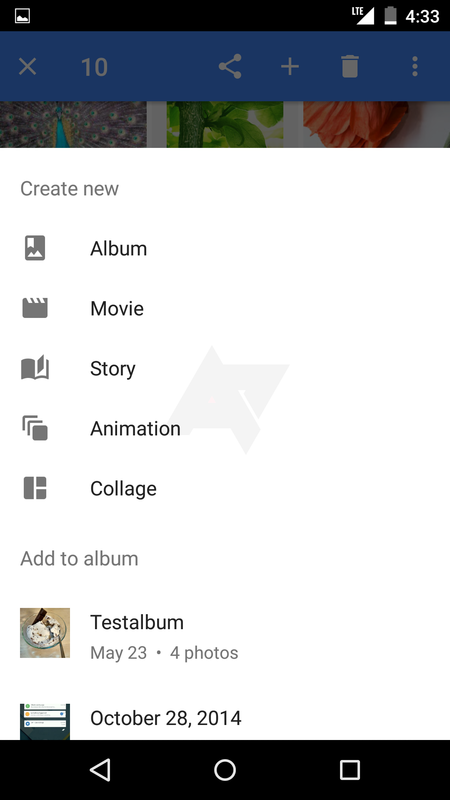 When several items are selected without first hitting the "plus" button, users can still add them to new creations. 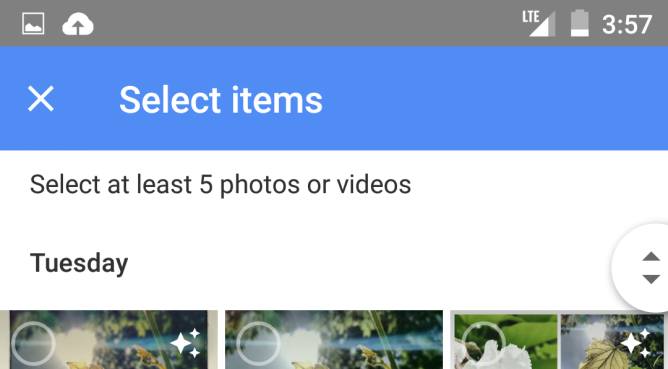 Albums, movies, stories, animations, and collages all have their own specifications regarding how many photos can be included. 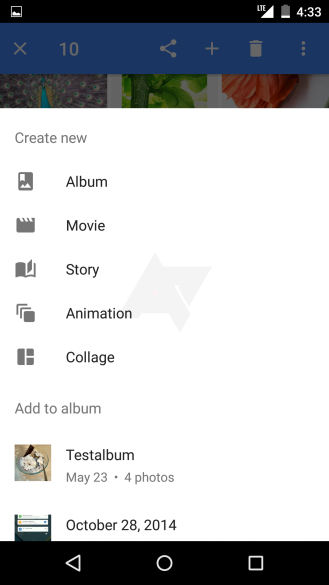 Albums can include as many items as you want, while movies are limited to 50, stories need at least 5, animations can have between 2 and 50, and collages can have between 2 and 9. 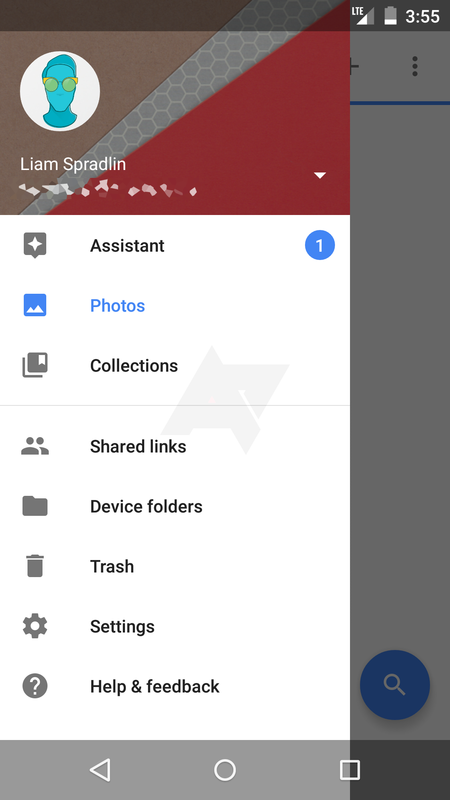 The specifics are spelled out right below the app's toolbar while the user selects images. 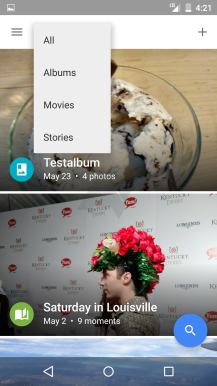 New creations are just a swipe away from the app's main screen under "Collections," where users can filter down to albums, movies, or stories. 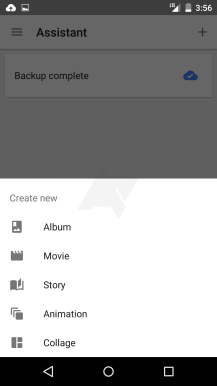 The individual album view gives the album's title a generous header, with a staggered grid flowing below. 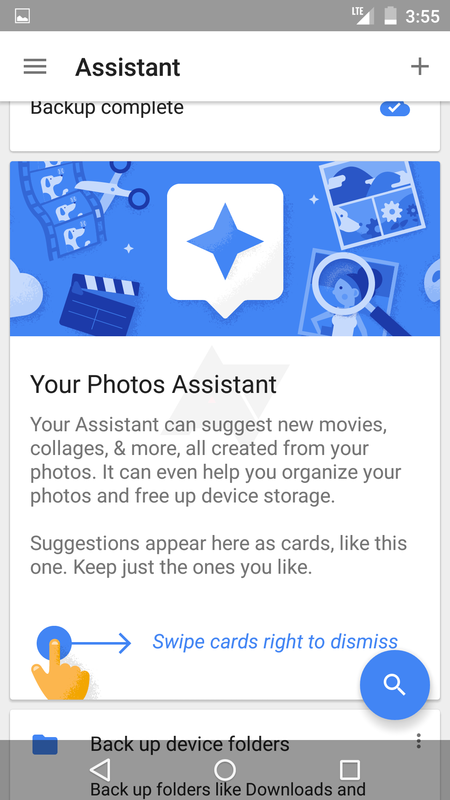 In the end, Photos' upcoming "Assistant" feature seems to give users more control, while staying easy to use. 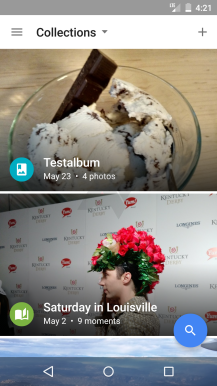 It looks like Autoawesome will smoothly transition to just regular awesome soon.